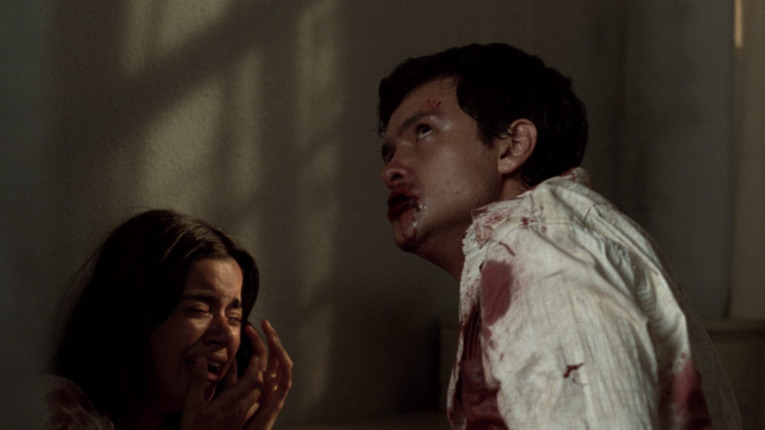 So many remakes, especially the most common kind—English-language versions of foreign-language horror films—seem to exist for reasons that are commercially sensible but artistically redundant. The idea of fixing something that isn’t broken generally offends me, and so I tend to avoid. What’s more, I often balk at awkwardly shallow/ill-thought attempts at transposing a story from one cultural context to another. But Jim Mickle’s remake of We Are What We Are is a remarkable exception. He takes the general setup of the original—a family of cannibals tries to hold it together after a key member dies—and moves the setting from the slums of Mexico City to small-town America, with fascinating results. It similarly injects the story with enough social realism to make an improbable plot feel believable, but it simplifies the plot somewhat, possibly slowing down the third act a little too much, but paying off with a conclusion that has to be seen to be believed—and will still come as a surprise even if you’ve watched the original. For its part, the 2010 original by Jorge Michel Grau is nearly as good—perhaps slightly hampered by a couple of plot points that don’t quite work, and by a couple of script passages that feel a little unsure in their character definition. But it, too, winds, with a series of rapid-fire twists, to a remarkable finish. In fact it really doesn’t matter which of the two you watch first—neither film is predictable based on its counterpart, and each has something unique to offer. Good on Netflix for offering up both.